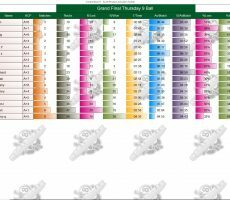 THURSDAY 9 BALL GRAND FINAL – SEASON 22. SATURDAY 15th DECEMBER : JOHNNY WINS. Congratulations go to England’s Johnny Whitley for winning our Thursday 9 Ball Grand Final for Season 22 on Saturday evening. 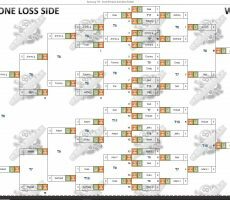 From the full field of 16 players, he was in top form all night long to remain undefeated through five straight matches and claim the 1st Prize of 10500 baht. Playing off his recently increased handicap of A+4, he only lost a total of nine racks in the whole competition, such was his dominance over the opposition. In the final he beat Jimmy Schmitt from Germany by 4 racks to 1 (race 4-5) to seal a very impressive performance. 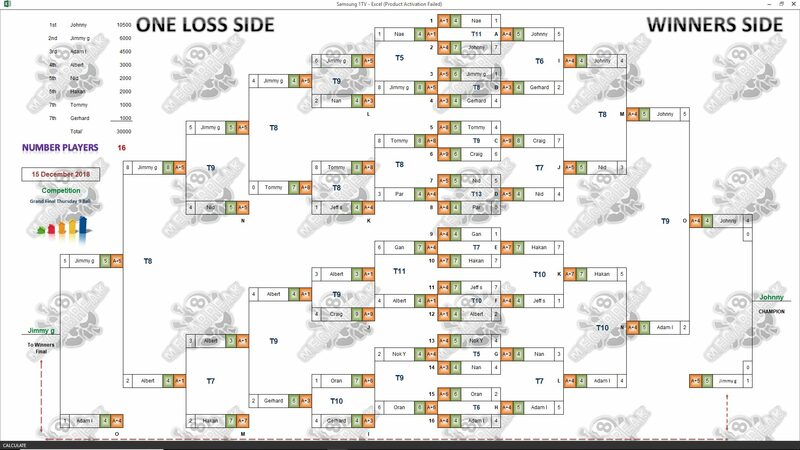 Jimmy lost his very first match of the evening, before winning six matches on the spin on the One Loss Side of the draw to reach the final, and pocketed 6000 baht in 2nd Place. Next in line was Aussie Adam Lux, who won 4500 baht in 3rd, and he was closely followed by our resident Dutchman Albert Gringhuis in 4th, collecting 3000. Champion : Johnny (A+4) – 10500 baht. 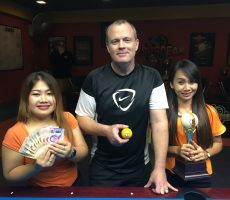 Runner-Up : Jimmy (A+5) – 6000 baht. 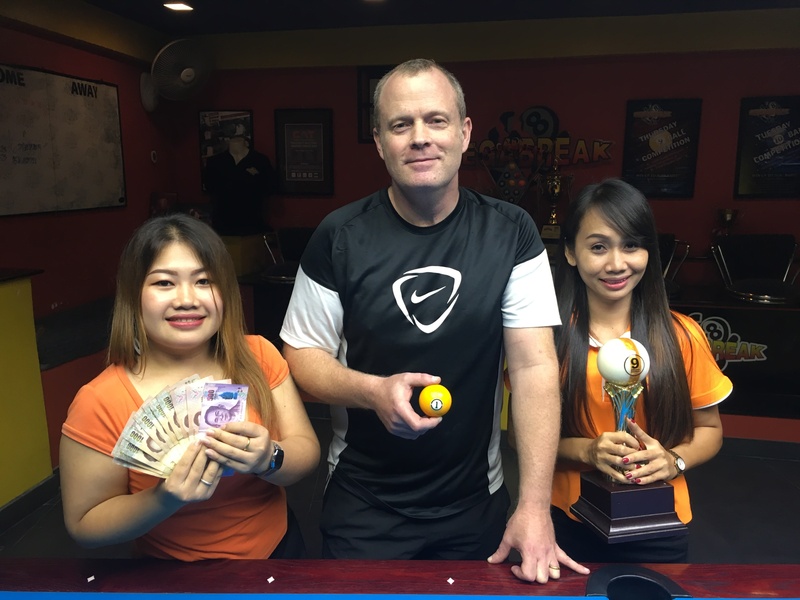 3rd Place : Adam (A+4) – 4500 baht. 4th Place : Albert (A+1) – 3000 baht. 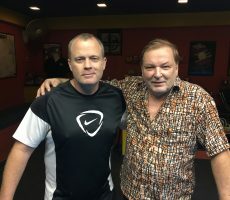 Equal 5th : Håkan Ekberg (A+7) and Nid Mirantee Phukthamt (A+5) – 2000 baht each. 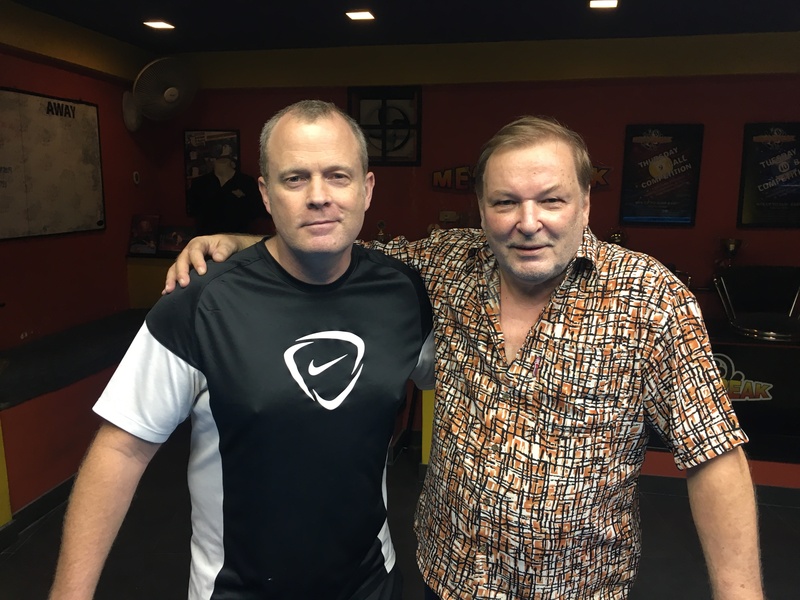 Equal 7th : Tommy Fineman (A+8) and Gerhard Schebler (A+3) – 1000 baht each. The Player Auction Prize Pot totalled 22300 baht, and was won by Craig Jones. 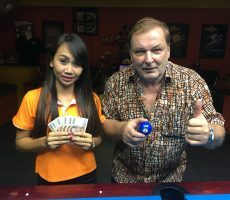 He paid just 900 baht for our winner, and they shared the 1st Payout of 8600. 1st : Craig (Johnny) – 8600 baht. 2nd : Jimmy (Himself) – 6400 baht. 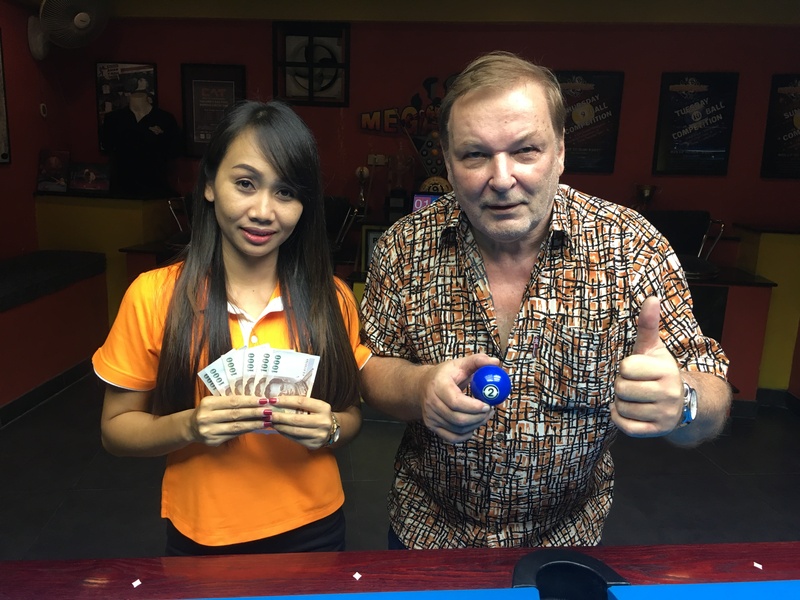 3rd : Jens Ketzer (Adam) – 3800 baht. 4th : Tommy (Albert) – 2400 baht.